I have harbored a strong affection for history since childhood, fascinated by vivid images, stories and figures of the past. When I discovered genealogy and the ways my ancestors related to the larger narrative of history, I was hooked. Also, I love research! What’s the coolest discovery you’ve made? There have been many, but what first comes to mind is the discovery that my grandfather and my husband’s aunt lived in the same small town in northern California at the same time. My husband and his family are from Guadalajara, Mexico, I grew up in Maine and my grandfather was from Oklahoma, so this was a very unexpected coincidence. I have picked up my research into the early life of one of my maternal great grandfathers, who was adopted and about whom little is known. 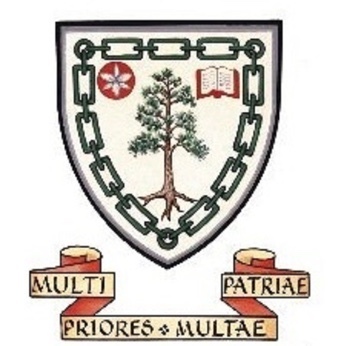 I have been in communication with my mother’s cousin, who is the son of the eldest of my great-grandfather’s sons, and who is helping to guide my research by answering questions and confirming several discoveries based on oral histories. What’s the number one secret to your success in genealogy? Commitment to well-organized research. By remaining committed to the scope of my research projects and digging into the details, with as much structure in my research plan as possible, I am able to document my search and findings easily – and the details for narratives are available! What superpower would you want to help you uncover your family history? The ability to see into the past, of course! Also, full access to the Family History Library 24 hours a day, 7 days a week. What are we most likely to find you doing when you’re not researching family history? Spending time with my 5-month old and husband at Balboa Park or the zoo – two of our favorite family outings. When I’m not with my family (and also not researching), I am often swimming at my local YMCA. 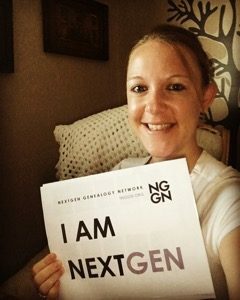 This entry was posted in Faces of NextGen and tagged in Genealogy, NextGen Genealogy Network, young genealogist.